These are various pieces currently for sale in the studio, we make these up during the year in between commissions. 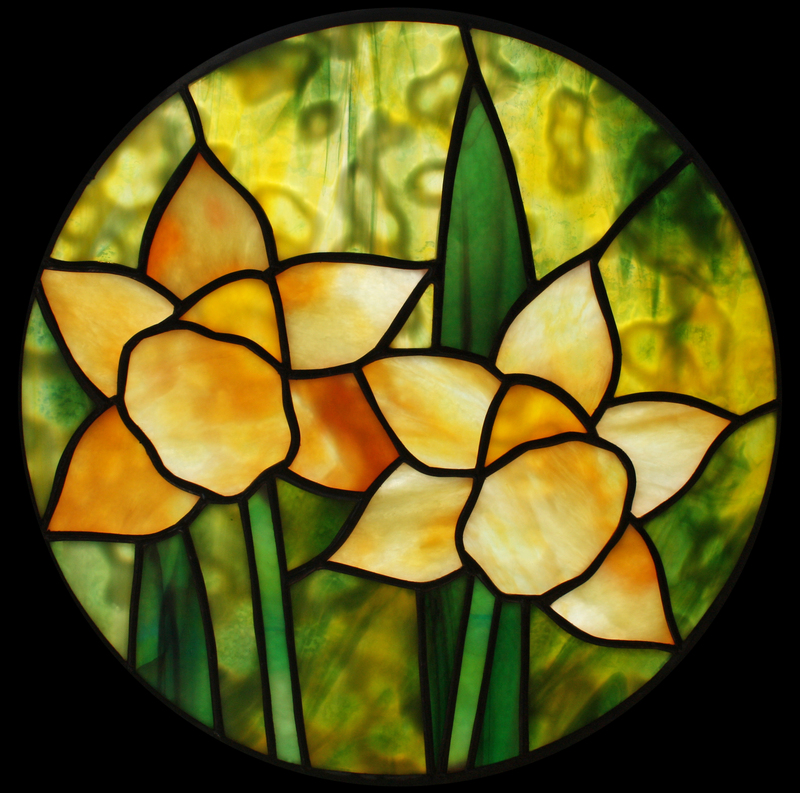 “I always wanted to design a daffodil stained glass window”. 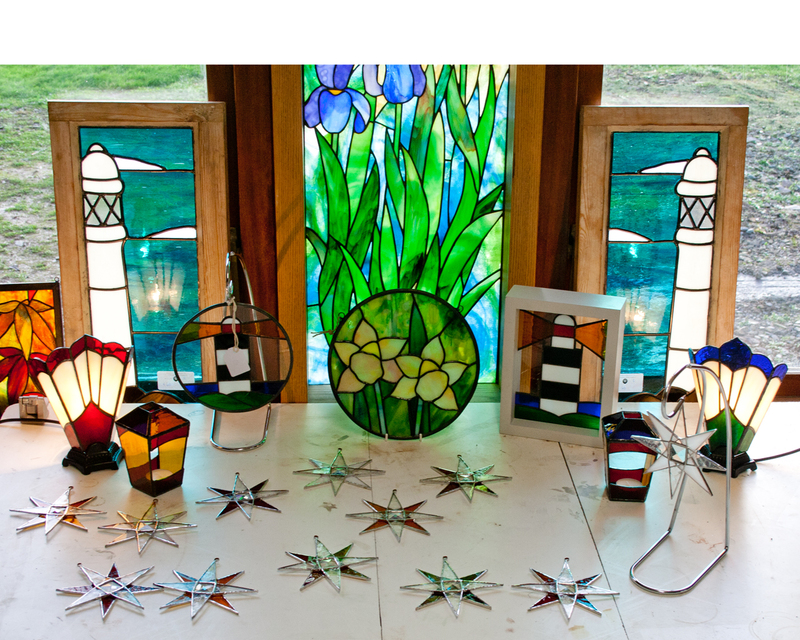 David derives inspiration from out and about around our home in Slade, Co. Wexford. Many photographs were taken and elements of each one became the design for this piece. A lot of work went into this piece, the colours are vibrant together and the whole piece really reminds us of spring.